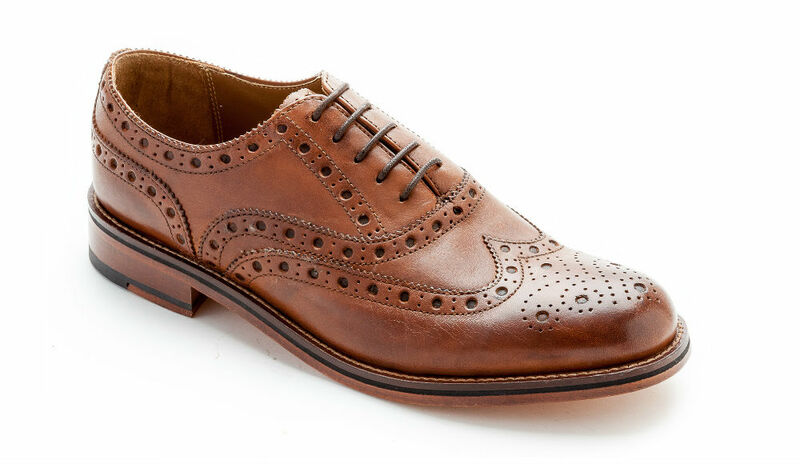 Welcome to the new roguesandbrogues.com! DOT COM! As of today, rogues+brogues is exactly 2 years old. 2 years ago, I started my blog in secret, afraid of judgement or opinion on my ability or "right" to write about fashion and grooming. But I have grown both in myself and in my skills and my blog has opened quite a few doors and I am so thankful for it. I am also thankful to everyone who commented and coached, advised and assisted, shared and supported my blog since its inception. To celebrate and as a way of thanks, I'm hosting a fantastic giveaway featuring some of my favourite things that I have written about over the past year. 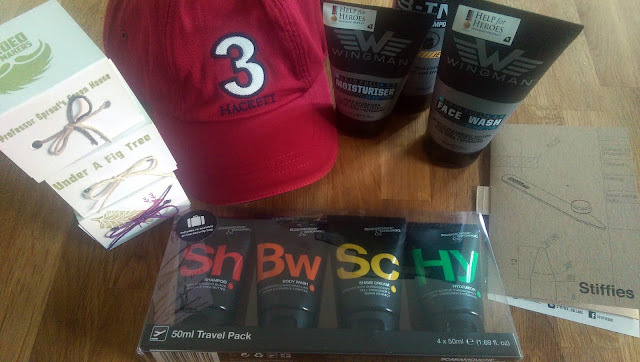 A Hackett baseball cap from Andrew Watson Menswear - as featured here. A Scaramouche & Fandango travel grooming kit - as featured here. A set of Stiffies collar stiffeners - as featured here. 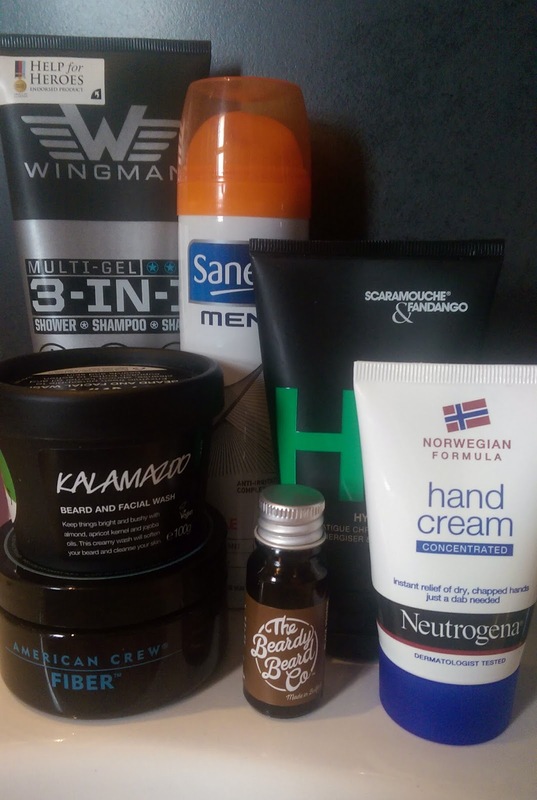 Face scrub, moisturiser and 3-in-1 wash from Wingman - post coming soon. A selection of candles from The Bearded Candle Makers - as featured here. 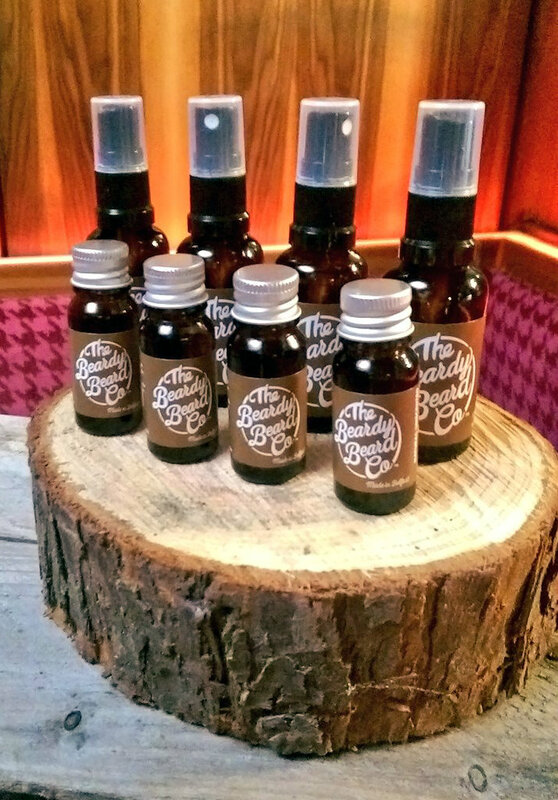 Beardy Beard Co beard oil - as featured here. Below The Belt grooming kit - as featured here. No cash alternatives or substitutions. Full address and contact details must be provided to claim prize. Host decision is final. Winner will be notified and must respond within 48hrs or a new winner will be drawn. rogues+brogues and the sponsoring companies reserve the right to amend or withdraw this competition without notice. Prizes marked with * will be dispatched directly from the sponsoring company so be advised these will arrive separately. Vita Coco hamper contents may vary from image shown. Open to UK & Ireland residents only. You might remember a little while back I did a feature in my Local Heroes series on Remus Uomo. What do you mean you don't remember..? Go back and refresh your memory! After publication of my feature, the team from Remus Uomo got in touch and asked if I would be the ghost-blogger for their journal - my first "official" fashion writing job! You can read my first article, the Festival Style Guide, right here. I'll be the contributing editor for the next few months so keep your eyes peeled on the Remus Uomo Journal for more summer style updates! With less than week until Father's Day, if you haven't got your old man anything, you need to get the finger out. Speaking of "old man", the theme of this Father's Day selection is to help your dad look and feel a little less old. I've created a wash kit filled with all my favourite products that I've found to work. While not everyone will use a washbag on a daily basis, it's always handy to have for weekends away or going to the gym or hospital. Avoid novelty bags and go for something stylish and understated. This one is from Joules but I really love these tweed ones from Not On The High Street. Gone are the days of soap and water. A face wash is an essential to help prevent dryness and regulate oils to help curb outbreaks. I recently discovered the joys of Kalamazoo by Lush and cannot recommend it enough. 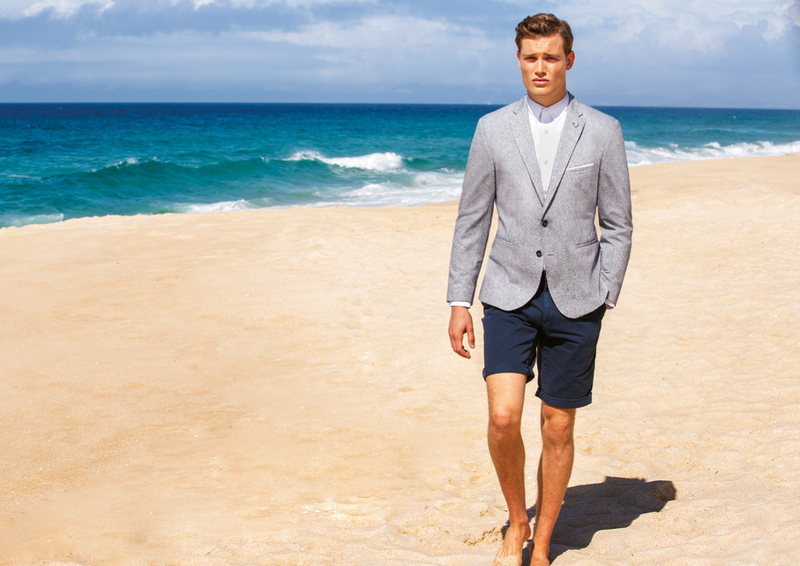 Moisturising may not be seen to be the most manly of activities, but it's a necessity to prevent those early wrinkles. Look for one with an SPF built in to protect against sun ageing. Hydrator by Scaramouche & Fandango does all this. 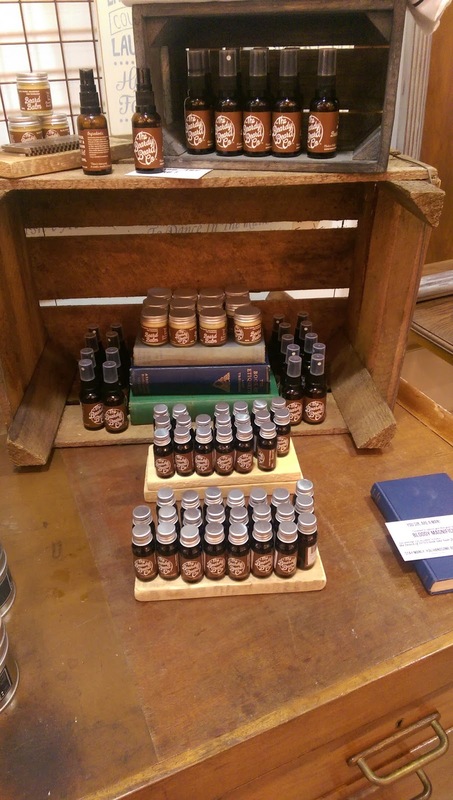 Many men sport beards nowadays (or even the odd Ned Flanders moustache) and a good beard oil is essential to keep it nourished and looking its best. 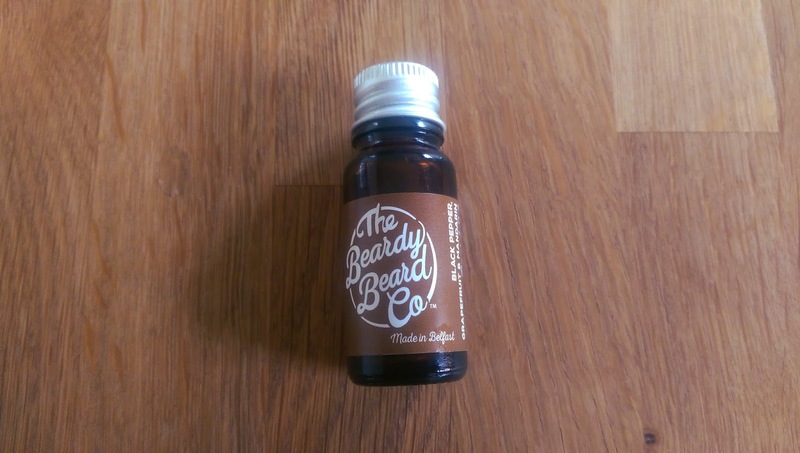 I love the smell of The Beardy Beard Co black pepper, grapefruit and mandarin oil, it will double as a cologne in a pinch! I have tried pretty much every high-street hair product over the years and I continue to go back to American Crew Fiber. It's easy to apply, has a matte finish, strong hold and doesn't make my hair go greasy like some products... naming no names. I buy mine from eBay, you save a bomb compared to beauty sites or direct from salons. Hand cream is something you should always have to hand (narf). Whether to soften calluses from gardening or lifting weights, soothe dry winter skin or just to make your handshakes a bit more pleasant for the recipient, it pays look after your paws. Neutrogena Norwegian Hand Cream is concentrated so a little does a lot! We never want to think of our dad's kissing anyone, but that's no excuse for him not to look after his lips. If he spends his spare time outside, sunshine and wind will dry them out and sore, cracked lips are never pleasant. Molton Brown's lip saver is so far removed from the greasy horrors of Vaseline. It's nourishing and doesn't make you look like you've been snogging the butter. Packing while travelling is never a fun task and we inevitably bring more than we need so where we have the chance to streamline our luggage, grab it! The Mint Boom 3-in-1 wash from Wingman works as a shower gel, shampoo and shave gel. While perhaps not ideal for everyday, it's great for trips and the minty zing is so refreshing! With so many restrictions on volume when travelling, EDT and aftershave samples make much more sense than bringing a big bottle with you. 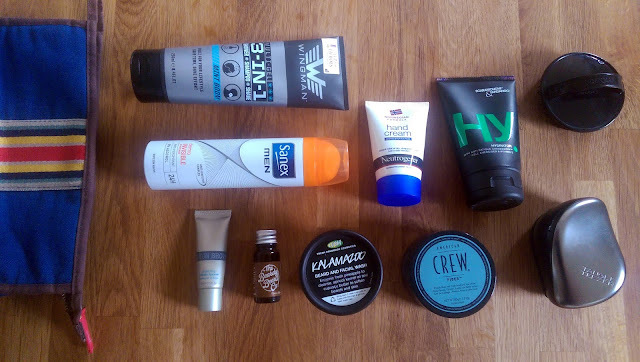 Just pay a visit to your local counter and ask for a small selection to include in your wash bag. This means have also done half the leg work for future birthday or Christmas presents as you can just ask which was their favourite. You're welcome. I hope you find some inspiration for gifts here and hope you have a great day with your dad this Sunday. Make the most of the time you have and try not to roll your eyes too much when he starts one of his stories! In something of a break from my usual posts, I'm featuring a company that specializes in products for the home. Products that evoke memories and conjure the imagination. These are the creations of The Bearded Candle Makers. I first encountered The Bearded Candle Makers a couple of years ago. I previously dabbled a bit in the craft world, selling wooden ornaments and accessories my dad makes in his spare time. I was instantly drawn to their imaginative and fun names like Dumbledore's Office or Achill's Secret Garden and the unusual and enchanting scent combinations. These are not your standard candles, you will not get a clean cotton, a cinnamon Christmas or a rose garden. Instead you will be enveloped by the smell of soil and the tang of tomatoes as you step into Professor Sprout's Greenhouse. You will be invigorated by the bracing scent of salt and lemon with Hello Sailor. 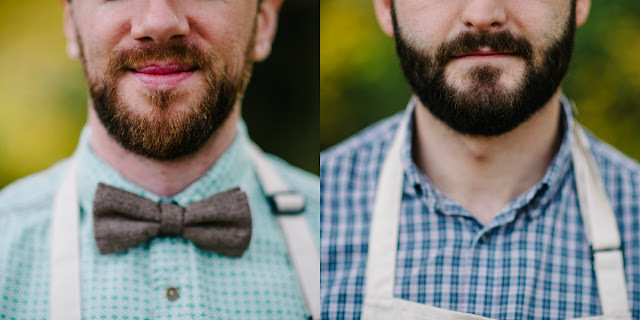 The Bearded Candle Makers themselves are the power couple Michael and Mark. Each candle has it's own unique origin story and history and I spoke with Michael to get some more information into what got them started and the magical processes each candle goes through. We started off wanting to work together on a project that combined things we loved like scent, craft, all things creative, sustainability and design. Candles just ticked all the boxes. We spent just over six months learning the craft and developing our own scent profiling technique. 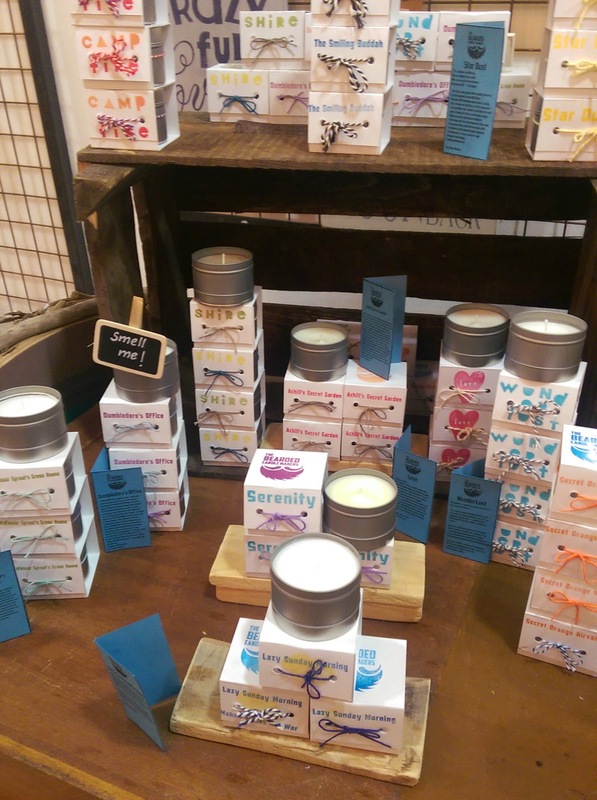 We found that so many scents are quite generic and wanted to do something better. Our technique allows us to combine scents that sometimes would not work well together or scents most people assume would not work well together. We begin with the scent name and then build the scent into it, that way we find that sometimes the scent has a life of its own and we simply refine it to make it perfect. The scent profiling is completely our own technique and as far as we know no other candle maker uses anything like it.It takes into consideration not only quantities and ratios but temperatures and few other variables that we believe create not only awesome scents but also scents that last to the very end of the candle. We have a purpose built workshop in the garden at the back of the house! Its a small cozy space with tonnes of drying shelves and a high work bench. It also doubles as our office! Friends who have been into it always remark its like a wizards study or an alchemist's lab! This makes the nerd in us very happy. We are now working on a new range of botanical candles! We are so stoked about these!! We cant wait to finalise the scent profiles and the finish work on the actual product design! We have one other AWESOME project we are current researching and testing (inspired by none other than yourself) but it we have to keep it top secret until its ready to launch! It a completely new product for us but one that makes so much sense that we get on board with. These boys don't make candles, they make experiences. 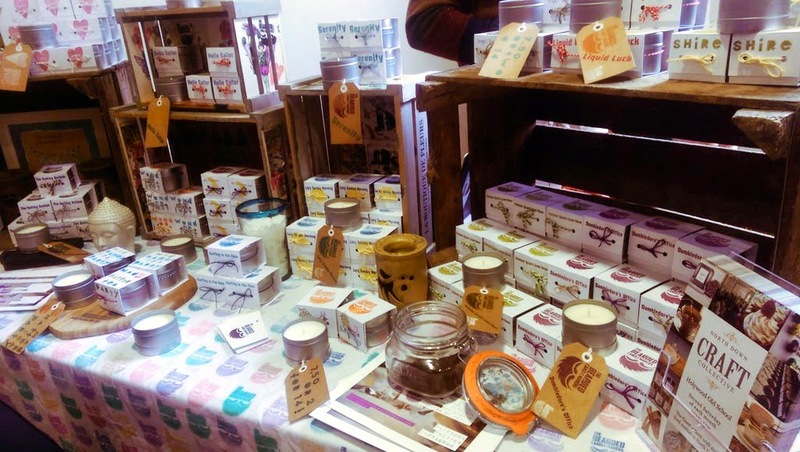 You can find The Bearded Candle Makers every Sunday at St George's Market, every month at the NDCC and they are also stocked in Studio Souk. If you're not a local, you can always visit the chaps at their Etsy store. 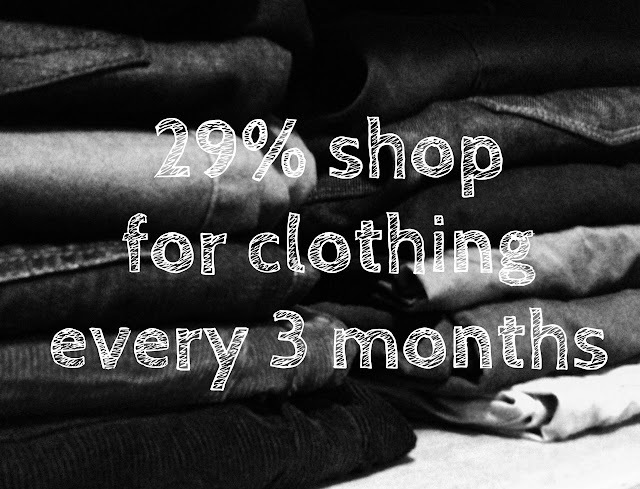 Blame it on the metrosexual movement or maybe it's just a sign of the times but it's now official, men spend more on clothes than women. 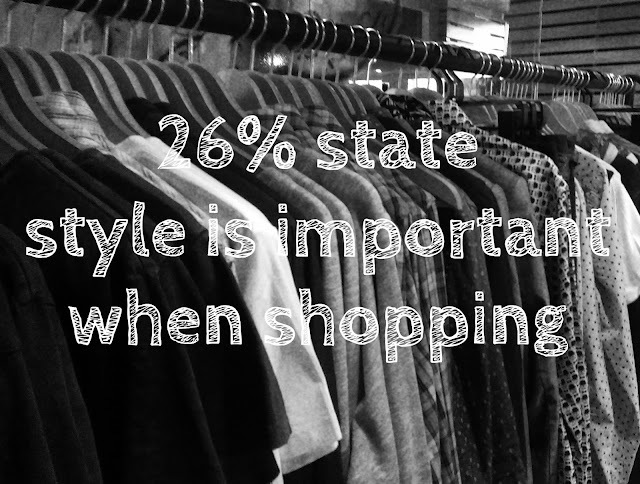 Back in March, I was part of a survey conducted by Fashion Beans on the buying habits of men and women in the UK and the results have just been published with some interesting figures. I think there is a big underlying aversion to disposable fashion in men's spending patterns. While girls may be more impulsive and buy cheaper, trend-led pieces that can be retired after a season (or a single occasion in some cases) there is a mentality in men of buy cheap, buy twice. 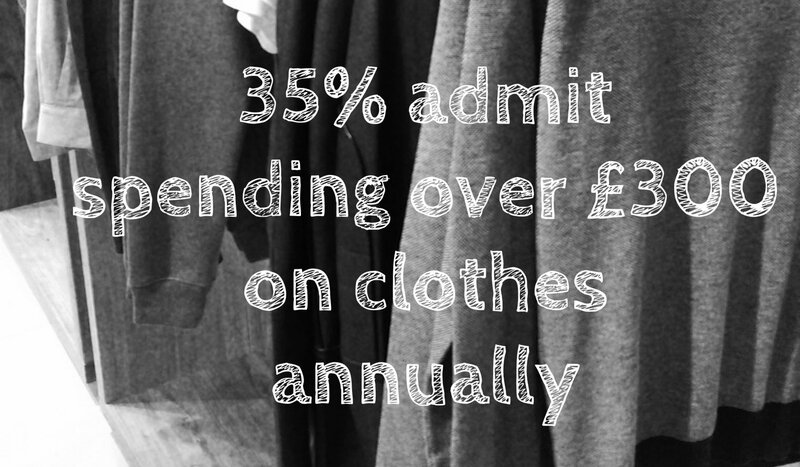 Tie this to the ingrained dislike of clothes shopping, and it shows that although men may spend more when they go shopping, this probably is to ensure they don't have to do it again any time soon! I think the term "style" is a little ambiguous, does this mean a trend or general appearance? Admittedly, most men are reluctant to try something new when it comes to their wardrobe (How long did it take you to buy your first pair of skinny jeans?) but this is much wider gap than I thought. 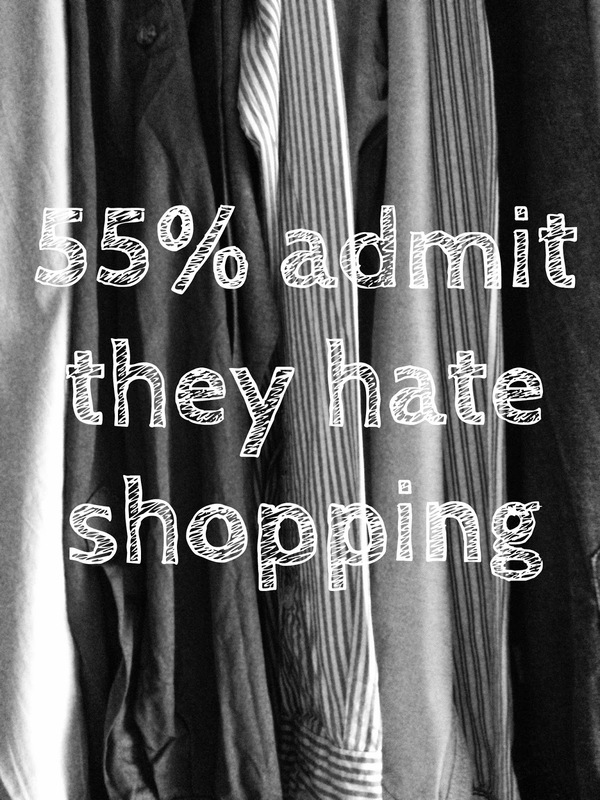 While this is not surprising, 83% of those men surveyed said they would not pay for a personal shopper and 75% wouldn't have a partner or family member do their shopping either. I think the man doth protest too much. You say you hate it but don't trust anyone else to do it for you? Just admit you love it and I'll see you down the town. Despite the survey not revealing any ground break new discoveries into the male psyche, it has been interesting to have this opportunity to ask men in a lot more detail about their shopping habits and also find out a little more about the thought processes men and women undertake before deciding what items to splash their cash on. As Bob Dylan said many many years ago, the times they are a-changing but is it really that astonishing that men are aspiring to look good? There has always been a big menswear movement, but perhaps it wasn't seen to be masculine to have an interest in clothing. Well, get over it. I have slowly begun to take a more considered approach to my grooming. While I am inherently lazy when it comes to my upkeep, I'm becoming more interested in learning how products can improve and affect my skin and my overall appearance. This doesn't mean I'm going to become some pampered ponce, but I hope to feature a little more grooming on my blog, in addition to the usual mishmash of fashion and lifestyle. 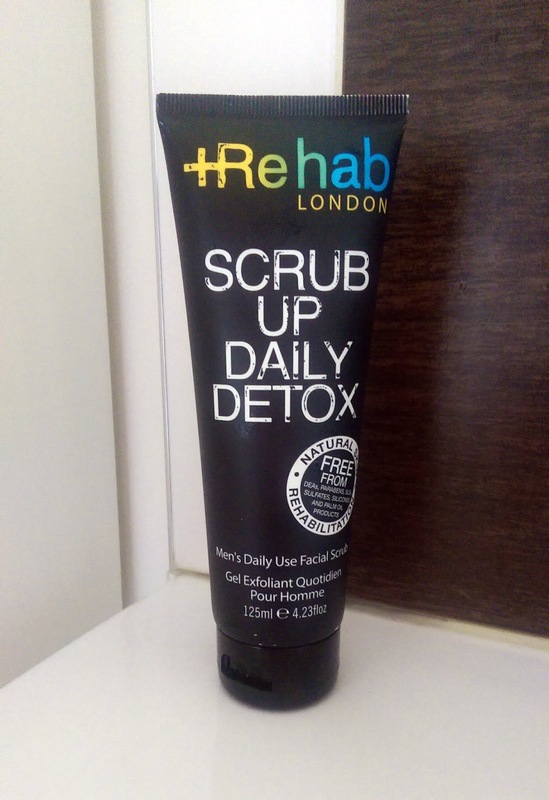 All this leads me to my latest grooming product road test, Scrub up Daily Detox from Rehab London. I am a fan of scrubs - I like to feel a product working on my skin. Often a cleanser or face wash does a good job, but there is a sense of satisfaction in working away all that dead skin and oil and grime! I have quite an oily t-zone and am prone to blackheads on my nose so I am always looking for something to help combat this. I tried the Scrub Up Daily Detox over the weekend and I was overall pleased with the results. In contrast to many scrubs out there, this was quite sparse in its actual scrubbing particles, although this didn't detract from its cleansing abilities. Sometimes I think there can be too much abrasion and ultimately, this could end up drying out your skin. What intrigued me most was what they actually used as their abrasives; Tahitian sand and bamboo - a little bit of exotic luxury to waken your face up first thing in the morning. 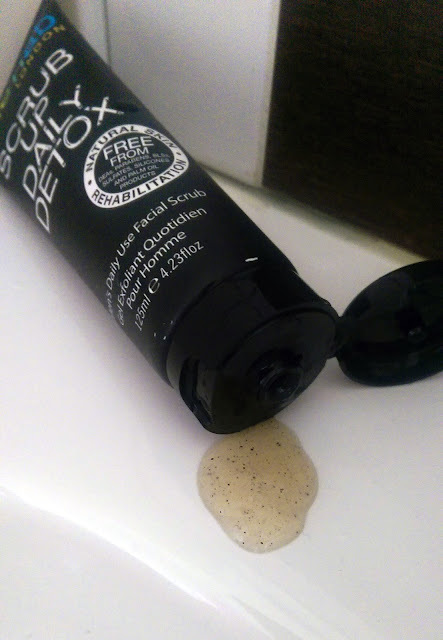 I also liked the consistency of the scrub, often scrubs can be thick and paste-like, but this was more like an oil cleanser. It has a subtle lather (which you would expect from a scrub) which meant it rinsed off easily and my face was left feeling refreshed and quite moisturised from the coconut oil content. The scent is also really subtle, I think this is more of a positive than a negative as you wouldn't want it competing with your aftershave or cologne. Marketed as both a daily wash and a weekly scrub (although I don't know how you'd differentiate their uses), I'd recommend this for a try if you are looking to get your face ready for summer. *Thanks to Rehab London for supplying me with the Scrub Up Daily Detox to review. 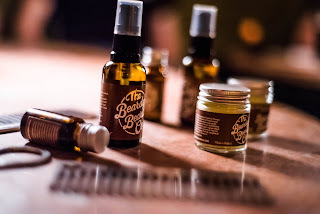 In the latest piece in my series, I'm featuring the hirsute heroes of The Beardy Beard Co. The company has been on my radar since the start of the year. Beard oil is a booming market but it seems every bloke with a few hairs on his chin thinks he can manufacture and market beard oil. The market is becoming saturated in inferior oil, all with similar themes; lumberjack, sailor or biker (like a bearded Village People) and often the same scent. 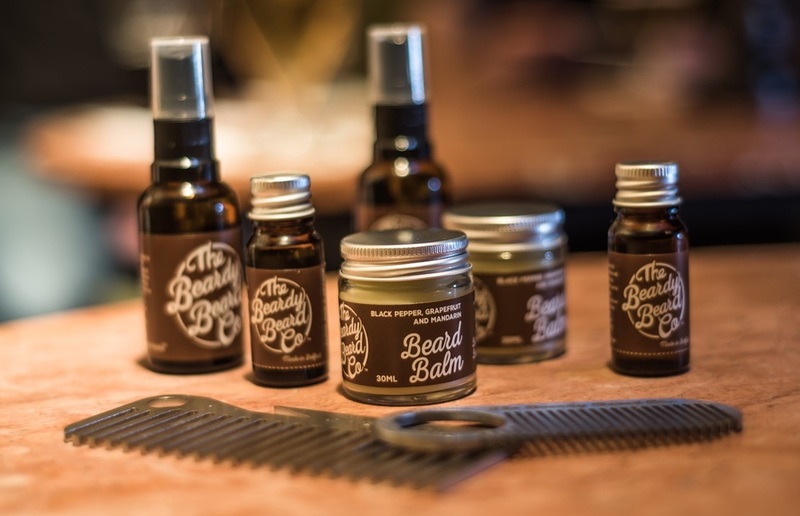 The man behind the beard behind the brand is Pete and I recently caught up with him. 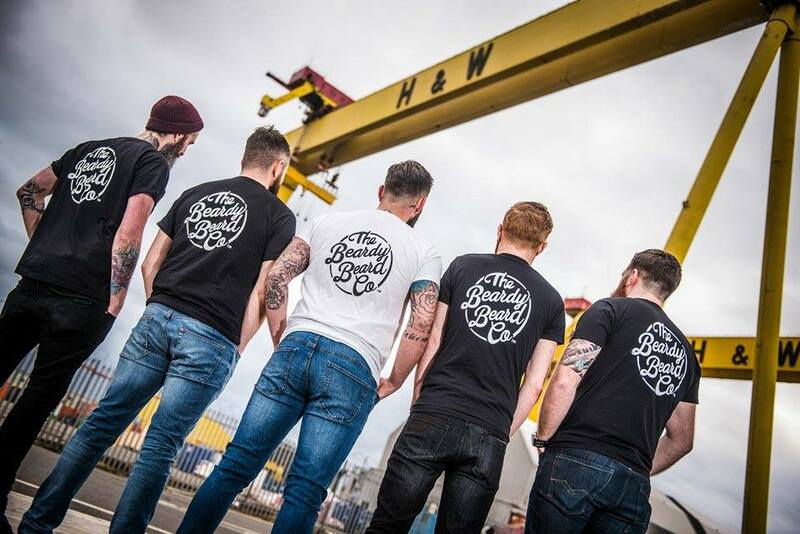 The Beardy Beard Co was born out of Pete's frustration at the lack of quality beard products. 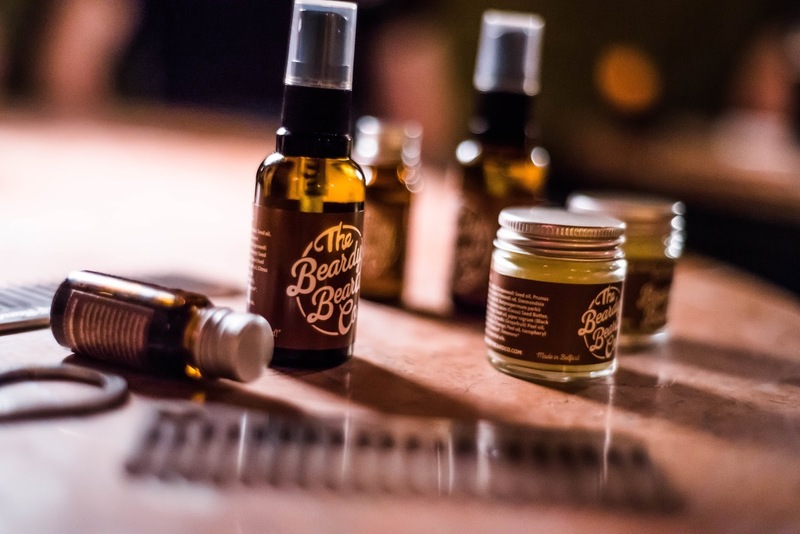 Being in possession of an impressive beard of his own and having tried many international alternatives, he saw the potential of a homegrown beard oil. The company is proud of the use of natural scents and oils in all their products. My favourite is the black pepper, grapefruit and mandarin oil - it's a fresh masculine scent, perfect for Summer. I'd go for the clove, pine and orange in winter, it's heavier, woodier and a little bit Christmas. 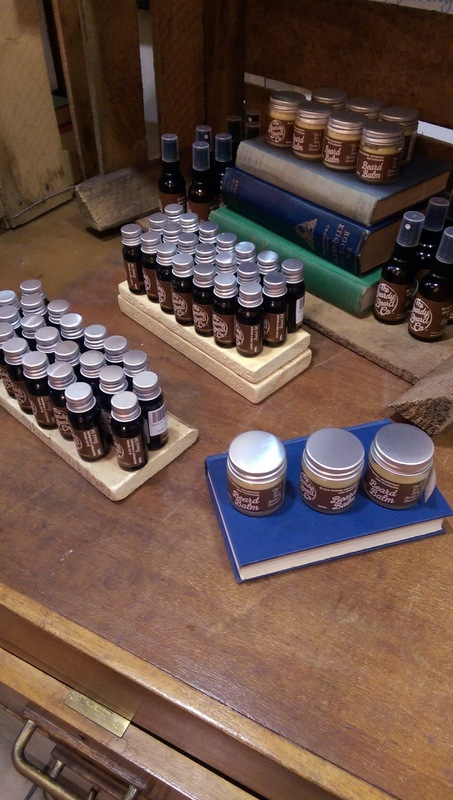 In addition to the core beard oils, they offer 2 styles of beard balm; a luxurious mix of shea butter, cocoa butter and beeswax, designed to tame those more unruly of beards. What I like most about the company is that it doesn't limit itself to just a grooming product; it's a lifestyle brand and boys club. You can wear your Beardy Beard t-shirt or hoodie, or fix your quiff (and open your beer) with their signature comb. The company even has a wall of bearded ambassadors, men chosen because they embody the company and its ethos. 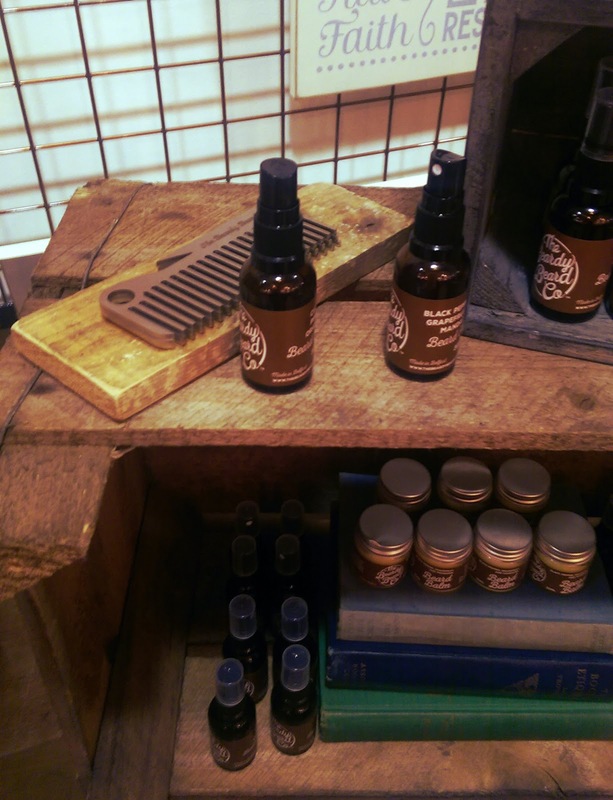 You can find The Bearded Beard Co products online, in Studio Souk and selected good barbers across the country. They say there is honor among thieves but there is fraternity among beards. If any of my readers would like to suggest or recommend a future Local Heroes post, please leave a comment below.